If you have activated PGP encryption on you computer, you can set it up for use on your phone as well. You will need the recovery code to do that. 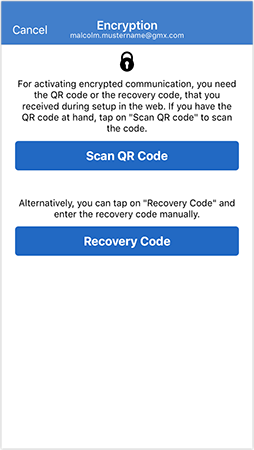 Tap Activate mobile encryption and enter your recovery code by either scanning the QR code, or by typing the code itself.